The two-day meeting in the Russian capital which starts on Tuesday, is seen as another step in a process aimed at resolving Afghanistan’s 17-year war. 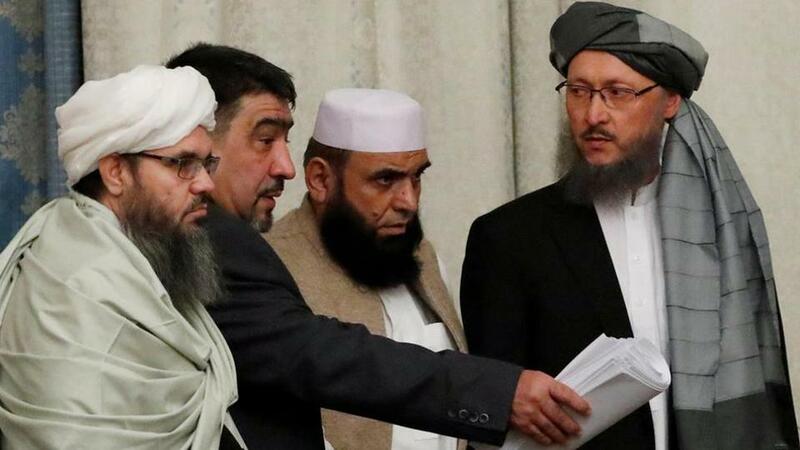 The Taliban said on Monday they will participate in “intra-Afghan” talks in Moscow designed to bring together prominent Afghan figures, including former President Hamid Karzai, opposition figures and tribal elders — but no Kabul government officials. The two-day meeting in the Russian capital, which starts on Tuesday, is seen as another step in a process aimed at resolving Afghanistan’s 17-year war, one that has accelerated since the appointment last September of US peace envoy Zalmay Khalilzad. Two presidential hopefuls are among those going to Moscow, including Hanif Atmar, who resigned as Ghani’s security adviser last August, apparently over differences with the president. Also on the list are powerful warlords-turned-politicians and former Taliban insurgents who reconciled with the Kabul administration. The Taliban ruled Afghanistan from 1996 to 2001, imposing harsh rules limiting women’s education and rights. The Moscow gathering is likely to further isolate Ghani, who has been irked by Khalilzad’s direct talks with the Taliban as well as the US envoy’s successive rounds of talks in regional countries. The Russian government has denied orchestrating the meeting. Monday’s statement from Kabul said the Council of Afghan Society, a Moscow-based organisation of the Afghan diaspora, was behind it. “The Russian side welcomes this initiative of Afghanistan’s civil society and believes that a direct dialogue between Afghans can make a political dialogue in Afghanistan more inclusive and open the way for engaging armed opposition,” said the Russian statement. The statement did not address the absence of Afghan government representatives or Ghani’s criticism. The Afghan statement issued by those attending the meeting said the participants would discuss a range of issues, from a cease-fire, supporting Khalilzad’s initiative to further “intra-Afghan” talks and ways to ensure a “powerful and democratic central government” in Afghanistan. A statement from the Taliban said the Moscow conference aims to “open channels to reaching an understanding with non-government Afghan political groups” and that the Taliban would use the opportunity to clarify their position, based on Islamic law, for the future and an intra-Afghan Islamic system of governance. Since the US-led invasion of Afghanistan in 2001, following the September 11 terrorist attacks on the United States, Washington has spent more than $1 trillion on Afghanistan. President Donald Trump has repeatedly expressed his desire to bring US troops home, adding to the urgency of Khalilzad’s mission.